Do you think there’s a chance your home is in need of roof repair? Naperville Exterior will make sure you’re safe rather than sorry. 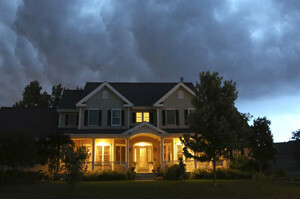 Naperville Exterior provides the best GAF Certified local roof repair contractor and crew. We have the experience and talent to provide roofing repair and shingle repair at affordable pricing along with superb workmanship. You can count on Naperville Exterior to provide you with a roofing repair solution that will give you peace of mind. With more than 20 years of experience in the roofing repair industry, Naperville Exteriors, Inc. is recognized as one of the leading home roofing repair companies in the Greater Chicago Metropolitan area, providing professional and reliable residential roof repair and shingle repair. Your home’s roof repair not only protects your home from destructive elements in the environment, but prevents any underlying problems from occuring. At Naperville Exterior we install only top of the line quality roofing repair products. Our exceptional products and craftsmanship are certain to please every customer. If you need residential roof repair or think you might have roof damage call us today. Naperville Exterior will provide you with friendly service and professional guidance. Our roof repair contractor will work with you and is trained to deal with any roofing repair project! We have extensive roofing references in Naperville, Plainfield, Bolingbrook, Wheaton, Joliet, Downers Grove, Woodridge, Westerns Springs, Oakbrook, Romeoville, Lockport, La Grange, St. Charles, Orland Park and many more surrounding suburbs. Call us at or enter your contact info into the form on this website and we’ll get back to you promptly with all the information you need to make the right decision for your family.